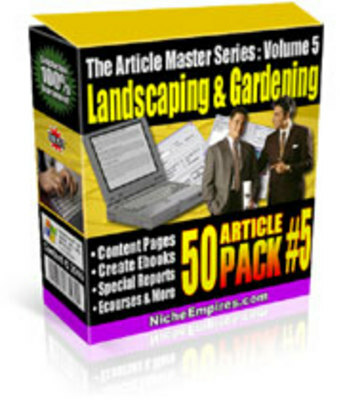 50 Superb Articles On Landscaping And Gardening - A Fascinating Niche Hobby And Pastime. Each article is optimized for a given keyword or topic and they cover the most searched topics in the Landscaping and Gardening area. Perfect for developing your marketing in this profitable niche.